One of the best-selling flavours in Germany because of the popularity of the Hugo cocktail, MONIN Elder flower Syrup delivers the fragrant aroma and tart, juicy flavour of these creamy-white flowers. Often consumed as a cordial or a liqueur, both are crafted from the flowers of the Elder or Elderberry tree, commonly found in the English countryside. The English saying goes that summer is not here until the Elder is fully in flower and that it is at an end when the berries are ripe. Simply add MONIN Elder flower to champagne, mix in a white spirit based cocktail or with fruit juices for aromatic, summery refreshers. Strong floral smell with honey notes; distinctive, tart and juicy taste. 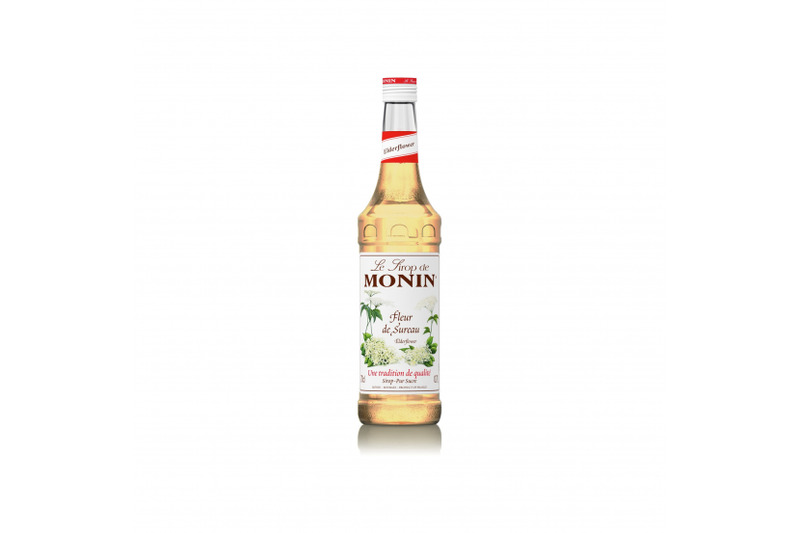 The fragrant flowers of the elder tree make this MONIN flavour unique and elegant. It can be used to make refreshing summer drinks. Try to combine it with cranberry juice and you will have an exciting summer refresher.